Strickland Farms Freehold Townhouses For Sale. West of Route 9 on the Howell border. Strickland Farms is located on the southern end of Freehold Township, It’s close to shopping and dining in addition to transportation and, well – everything. In 1993 and 1994, 380 homes were built in Strickland Farms. Six different models range in size from 1410 square feet to 1702 square feet of living space. Specifically, there are four different townhouse models. All townhouses come with three bedrooms. Also there is an upper level condo with two bedrooms and a lower level condo with two bedrooms. In addition, all of the Strickland Farms Townhouses have a basement, including the upper level condo. Monthly maintenance fees include landscaping and common area maintenance. 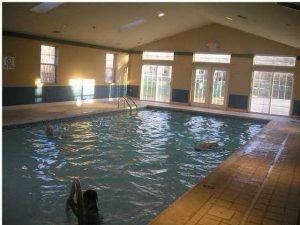 Residents are also welcome to use the tennis courts, clubhouse, basketball courts, sauna, a fully equipped gym and both indoor and outdoor pools! In addition, your pets are welcome here, up to 40 lbs. Because FHA financing is not approved in Strickland Farms, purchasing a home with an FHA loan is not possible. However, there are other alternatives that will allow you to purchase with a low down payment. School age children will attend the Marshall W Errickson Elementary School, Barkalow Middle School and the Freehold Regional High School District. Students entering high school may also apply to one of the magnet schools in the Freehold Regional High School District. The six high schools each offer some courses in specialized subjects such as Global Studies, Law and Public Service, Science and Engineering and more. Admission to these schools is competitive, and consequently students who are accepted become full time students at their program’s home school. Students may also decide that the courses offered at the Monmouth County Vocational School District would be a good choice for them. 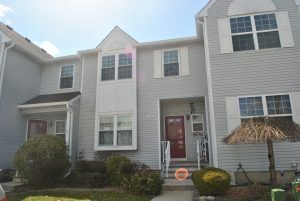 Show me more condos in Freehold.